Texx Team is a second-hand clothes warehouse helping people around the world to purchase recycled and reused garments of all kinds. If you're looking for the collection, sorting and wholesale of used clothes, you're looking for Texx Team. Established in 1996, the company is dedicated to making it easy for people to affordably purchase second-hand clothing in bulk. Working with some of the leading names in the used clothes industry, Texx Team has more than 20 years of experience as a provider of services which have a tradition of openness, credibility and quality. The company's strong policies on ethics and the consistent sorting of the clothes themselves have helped it to position itself as a second-hand clothes warehouse at the forefront of the industry in Europe, the United States and worldwide. 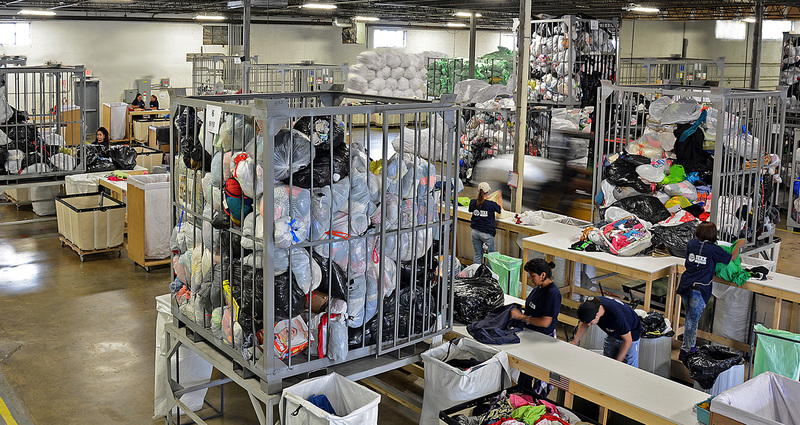 Texx Team operates around the world, connecting people in need of bulk second-hand clothing with a reliable, high-quality source for all grades of clothes. From premium clothing at some of the best rates available to Grade 2 textiles suitable for turning into home insulation or paper as well as wear, we provide a dependable quality of item at each grade. Premium used clothes - the highest quality of items. Grade 1 used clothes - fine clothes at highly competitive rates. Grade 2 used clothes - this grade of clothing has visible flaws and is sometimes used for purposes other than wear. Used clothes by type - select outerwear, shoes, bags and accessories in various mixes, including for women, men and children. If you're not sure if you're in an area that Texx Team covers, it's always worth getting in touch. We're the used clothing supplier delivering undeviating quality to clients around the world. Texx Team is a proud member of the Association of Recyclers and Traders of Second-Hand Clothes. For more information regarding the associations' values and vision, please do not hesitate to visit their website.